Mount Joy borough officials appointed a new interim police chief Monday after accepting the resignation of the former interim chief, who was only on the job for two and a half weeks. At Monday’s meeting, council accepted the resignation of Luis Mendez, who began as interim chief on Feb. 6, and reinstated him to his former position of part-time patrol officer. Council then appointed Maurice “Bill” Williams as the new interim chief. Williams, a retired lieutenant from the Lancaster City Bureau of Police, will take leadership of Mount Joy’s police department on the condition that he passes pre-employment testing. 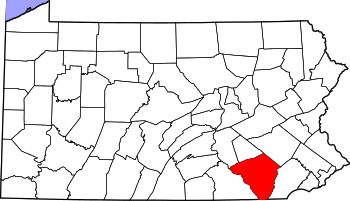 Mount Joy Borough officials lifted restrictions on police overtime and approved the hiring of a new police chief on Monday, March 3, after hearing discussions on recent staffing issues within the department. Council members agreed to hire Kevin Girling, a Lieutenant with the York City Police Department, as chief of the Mount Joy Borough Police Department at a salary of $85,000 following a mid-meeting executive session to discuss the matter. Girling, who is still working in York, will need to sign an employment agreement before officially joining the Mount Joy department , no later than April 1.